He is one senior masters of the Brotherhood of the Golden Robe. A spiritual council dedicated to helping spiritual development and spiritual teaching throughout the world. Initiates of the Golden Robe often take on the burdens of humanity and the world and have dedicated themselves on a spiritual level to helping the evolution of our planet at this time. 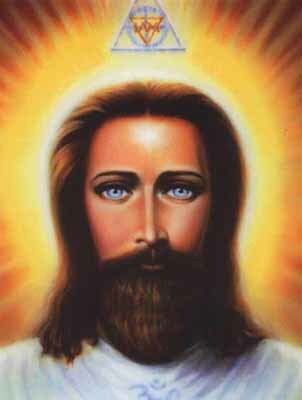 There are many thousands of members both incarnated on the earth and helping from the Inner Planes. 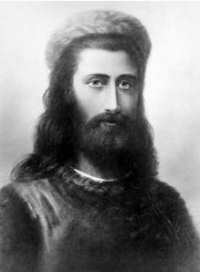 During his last physical incarnation as Koot Hoomi during the 19th century, he worked closely with Djwal Khul and El Morya who were also incarnate at that time, to bring Theosophy to the world. They worked closely with Madame Helena Blavatsky to write her books and bring eastern understandings to the western world. His twin flame (unknown name) is reported to be currently in-carnation on the Earth assisting with the Celestial Hierarchy and helping to guide humanity through its present spiritual awakening. and the Cathedral of Nature. 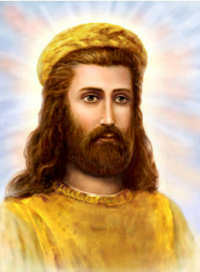 It is also the focus of the Brotherhood of the Golden Robe, which Lord Kuthumi oversees. This etheric retreat is centred upon a very beautiful natural area, close to Dal Lake in Sringagar, Kashmir. Here there are wondrous gardens designed by Shah Jahan (one of Kuthumi's previous embodiments). It is also believed to have been the birth place of Koot Hoomi - Kuthumi's last embodiment. The gardens contain a natural spring of pure healing water and many make a pilgrimage here to partake of the waters. Behind the gardens is a mountain, which is the physical anchoring point of the etheric retreat. Throughout the area the energy of illumined peace of Kuthumi can be felt. The colors of the causal body are introduced into this great white hall in the cushions on the seats of the benches; the masters and their disciples wear golden robes, being of the Order of the Brothers of the Golden Robe. Twenty-four-hours a day, groups of disciples with their teacher gather in this great hall. At intervals during each twelve-hour cycle, either the Lord of the World, the Representative of the Cosmic Christ, or one of the World Teachers enters the hall and stands on the raised dais in the center to address the masters and their disciples. The smaller groups unite into one large group facing the center when the Lord of the World or the World Teachers gives a discourse. Adjacent to the great white hall is a flame room where the focus of the flame of illumination is guarded. Here the Brothers of the Golden Robe come and sit in the lotus posture to meditate, to pray and to expand the action of the flame on behalf of their brothers and sisters both in and out of embodiment. Other buildings form a part of the complex of this retreat, including libraries containing scrolls of wisdom, guarded by the angels of illumination. In these buildings, the usual functions of a retreat are carried on by the administrators under the hierarch. These include the programming of education for the entire planet and the enlisting of souls, either in embodiment or who are preparing for embodiment, to study these plans and then go forth to implement them in the world of form." During his last incarnation as Koot Hoomi, Kuthumi spent many of his latter years in a lamasery at Shigatse. The etheric retreat anchored here is where Kuthumi now plays a giant organ, sending sacred music throughout the Earth. These high vibrational tones connect with the Harmony of the Spheres merging with the sacred fires of his heart. The peaceful, healing music connects with all souls about to depart their physical incarnation. The music guides people to the Halls of the Great White Brotherhood, for healing and tutoring prior to their next incarnation. "The bell-like tones you hear with inner ears are the communion with far-off worlds. They are the melody of the sacred spheres. They are the consummation of the love of planetary bodies ascended. They are the love of cosmic beings, of archangels and their archeia, of Elohim and sacred-fire beings seldom heard upon this planetary body - composed into a love symphony by your own beloved Kuthumi." Here people can connect with Lord Kuthumi through the City of Light beneath the mountain to help their spiritual understanding. The Taj Mahal was built by Kuthumi during his embodiment as Shah Jahan, (1592-1666 A.D.). It was built to celebrate his devoted love for his wife, Empress Mumtaz Maa. Connect with Kuthumi at this etheric retreat to bring unconditional love into your hearts. Pharaoh, prophet and high priest in the period known as the New Kingdom. Under his reign the Egyptian kingdom expanded to include most of the Middle East. The Greek philosopher. Known for his mathematical accomplishments and the introduction of sacred geometry. He sought divine truth through mathematics. His travels took him to Palestine, Arabia, India, and Egypt where he was accepted by the priests of Memphis and introduced into the mysteries of Isis at Thebes. One of the Three Wise Men who paid homage at the birth of Jesus (First Century B.C.). Possibly a King of Arabia. He brought the gift of Myrrh, an incense used at the time in embalming - represented longevity. After proving his worthiness as a warrior he was knighted and invited to join King Arthur's knights of the round table. He was prominent in the story of the quest for the Holy grail , being unswerving in his determination to find the grail. He was a French Catholic abbot and the primary builder of the reforming Cistercian monastic order. In the year 1128, Bernard was made the secretary of Council of Troyes, whose purpose was to arbitrate in disputes between the bishops of Paris and to regulate the church of France. He was given the task of drawing up the synodal statues. Along with Hugues de Payens they devised the code of behaviour, known as the Latin Rule , which became the basis for the Order of the Knights Templar. He was a Dutch humanist and theologian. He lived through the Reformation period, but while he was critical of the church, he could not bring himself to join the cause of the Reformers. Erasmus remained committed to reforming the Church from within and walking the middle path. Using humanist techniques for working on texts, he prepared important new Latin and Greek editions of the New Testament. These raised questions that would be influential in the Protestant Reformation and the Catholic Counter-Reformation. He is considered to be one of the greatest Mughals and his reign has been called the Golden Age of the Mughals and one of the most prosperous ages of the Indian civilization. On the eve of his death in 1666, he was one of the most powerful personalities on the earth and his Mughal Empire spanned almost 750,000,000 acres (3,000,000 km 2 ). He constructed some of the most spectacular architectural masterpieces in the world, including the Taj Mahal at Agra built as a tomb for his wife, Empress Mumtaz Maal, to express his love for her. He was a German composer, organist, harpsichordist, violist, and violinist who composed ecclesiastical and secular works for choir, orchestra, and solo instruments. Believed to have been born in the early nineteenth century at Sringagar, Kashmir, India. He was born into a wealthy Punjabi family that had settled in Kashmir. He was known as Mahatma Koot Hoomi, Master K.H. or simply K.H. Details of his life are fragmentary, as he lead a secluded life. However, it is known that he attended Oxford University in 1850 and is believed to have contributed "The Dream of Ravan" to The Dublin University Magazine around 1854, prior to returning to his homeland. He spent considerable time in Dresden, Wurzberg, Nurnberg, and at the university in Leipzig, where he visited with Dr. Gustav Theodor Fechner, the founder of modern psychology. Later he renounced his wealth and lived out his remaining years in a lamasery in Shigatse, Tibet, from where he sent teachings to his devoted students. Some of these didactic writings are now on file with the British Museum and are collectively known as "The Mahatma Letters". 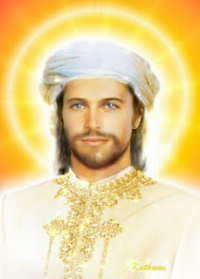 Working with Master El Morya he instructed Madame Helena Blavatsky. She presented the information in her books "Isis Unveiled" and "The Secret Doctrine". In 1875 they founded the Theosophical Society, with the aim of reacquainting mankind with ancient wisdom. Bringing the knowledge of the eastern religions into the western world. His writings also inspired A.P. 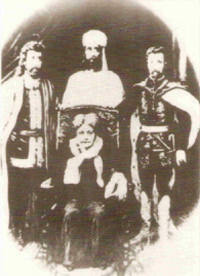 Sinnett, A. O. Hume and others, who wrote documents they described as having been dictated by Kuthumi. Some of these letters formed the basis for several books by Sinnett. Alice Bailey wrote that she had met Koot Hoomi on June 30, 1895. Bailey stated that he appeared to her as a turbaned man of non-European ethnicity dressed in a European-style suit. Cooper, Diana: "New Light on Ascension"
Prophet, Elizabeth Clare and Mark L.: "Saint Germain on Alchemy: For the Adept in the Aquarian Age"
Prophet, Elizabeth Clare: "The Masters and Their Retreats"
Prophet, Elizabeth Clare and Mark L: "Lords of the Seven Rays, Book Two"